Voyage through a complete illustrated tour of the Star Trek(TM) Galaxy and explore the bridge of the U.S.S. 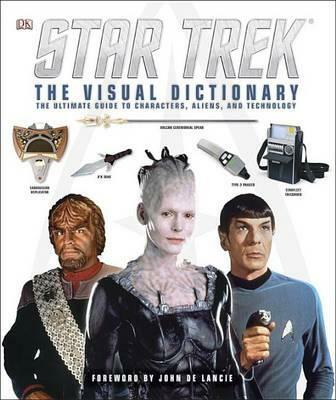 Enterprise(TM), Borg(TM) technology, The Dominion War, The Q Continuum and much more in Star Trek: The Visual Dictionary. Featuring the celebrated as well as infamous characters, aliens, starships, and technology, this stunning hardcover tome from DK shows the Star Trek Universe as you have never seen it before.